They are found in Canada, south into the U.S from Maine to North Carolina, west to the Rocky Mountains. They are found along roads, lakes and meadows. They are orange and black on all four wings and white dashes along wing edges. Wingspread is up to 2" wide. They look like many small butterflies, including the pearl crescent, so they can be hard to name for certain when in flight. 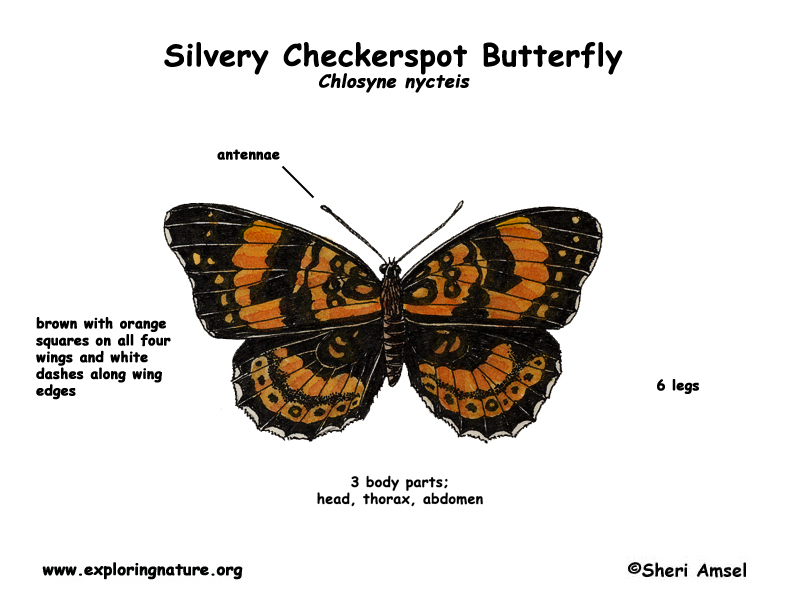 This is a butterfly of wetter areas, especially along the edges of streams. The males regularly patrol their territories with an alternating flapping and gliding flight. The caterpillars eat sunflowers and black-eyed susans. Females lay big groups of eggs on the underside of sunflower leaves.